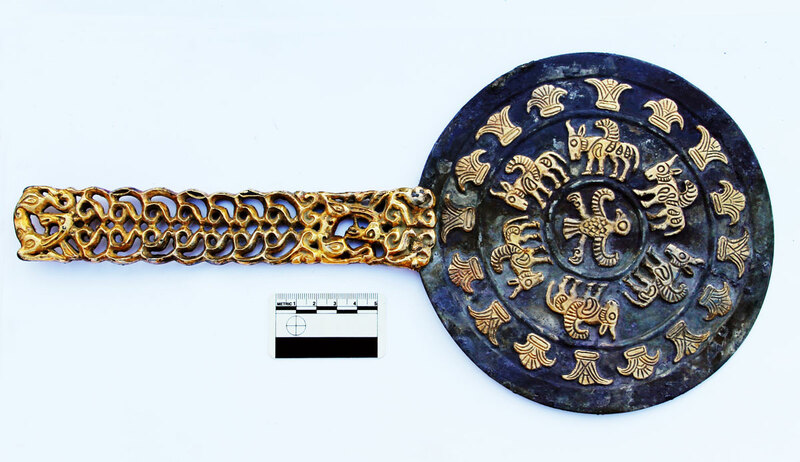 A Sarmatian burial mound excavated this summer in Russia’s Southern Ural steppes has yielded a magnificent but unusual treasure. 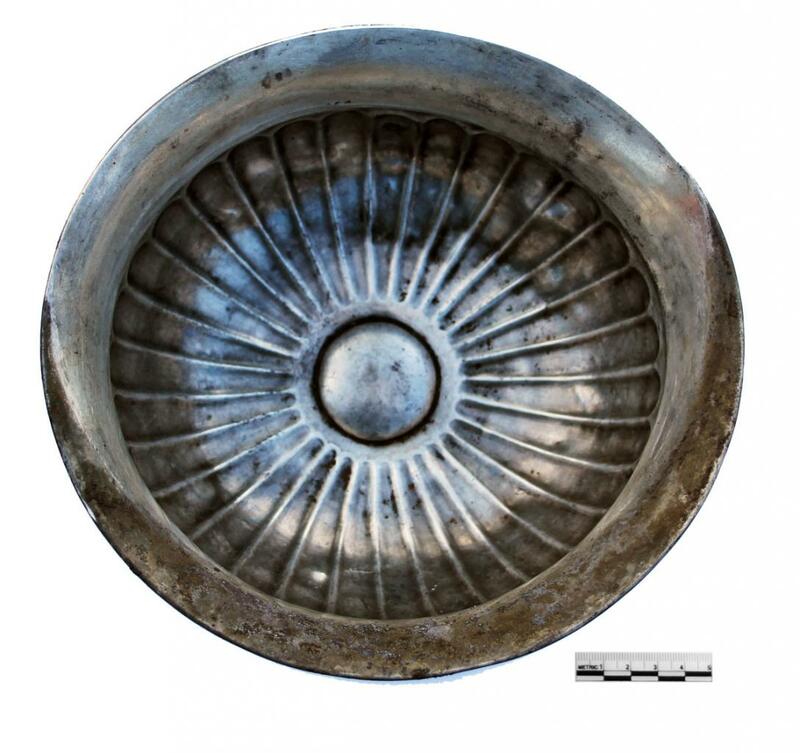 The artefacts contained within the mound are helping to shed light on a little-known period of the nomadic culture that flourished on the Eurasian steppe in the 1st millennium BC. 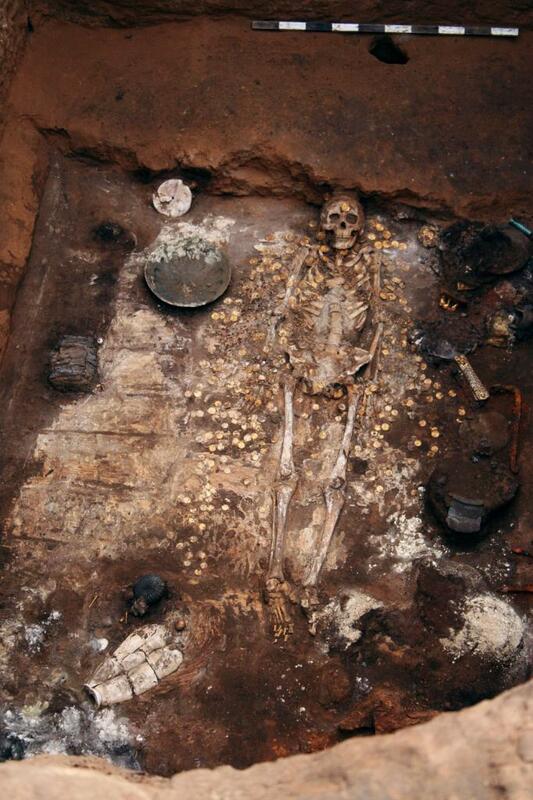 The archaeological study of this remarkable ancient tomb, or kurgan, was carried out by the expedition of the Institute of Archaeology (Russian Academy of Sciences), led by Professor Leonid T. Yablonsky. The nomadic peoples had no written language therefore scientists can only learn about their cultures and traditions through archaeological data. The kurgans which are scattered across the steppes contain many Scythian and Sarmatian relics and while the nomads successfully interacted with the Persian Achaemenid and Greek civilizations, they still preserved a unique culture of their own. This year archaeologists excavated the eastern part of Mound 1 at Filippovka 1 kurgan in the Orenburg region. This section was approximately 5m high and 50m long and was left unexplored by the previous expedition more than 20 years ago. The aim was to complete the study of this extraordinary monument, which had already famously entered the annals of world culture with the discovery of 26 “golden” deer statuettes. Another major challenge for the archaeologists was to ensure the preservation of this unique cultural heritage which faces a large number of imminent threats with robbery being a major problem. An underground passage near the entrance was the first area of exploration this season. 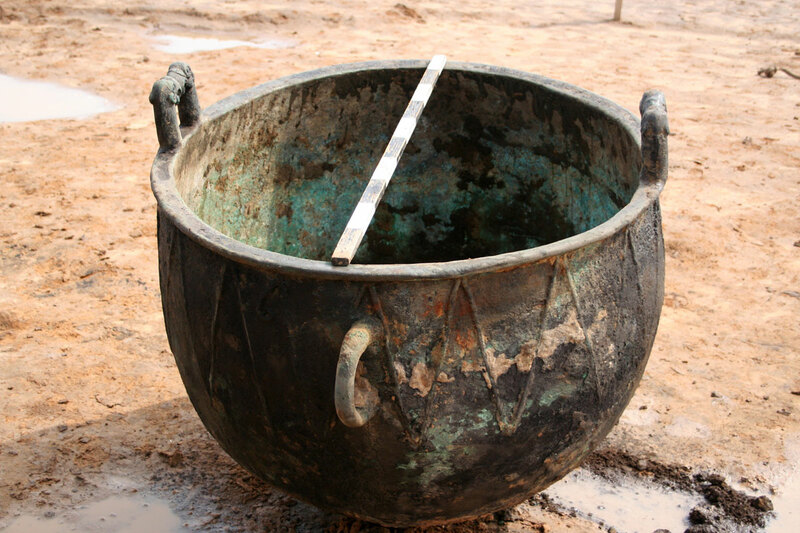 A massive cast bronze cauldron with a diameter of 102 cm was discovered there. 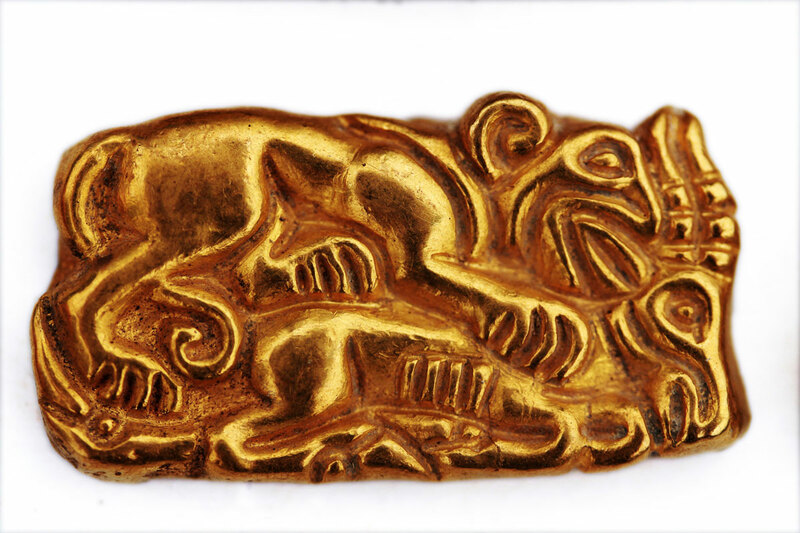 Its handles were fashioned in the traditions of the Scythian-Siberian animal style with an image of two griffins, beak to beak. Under the eastern mound an undisturbed burial chamber was discovered measuring approximately 4x5m and 4m deep. At the bottom of the chamber several stratified layers of debris were excavated to reveal exceptionally rich and varied grave goods accompanying a human skeleton. 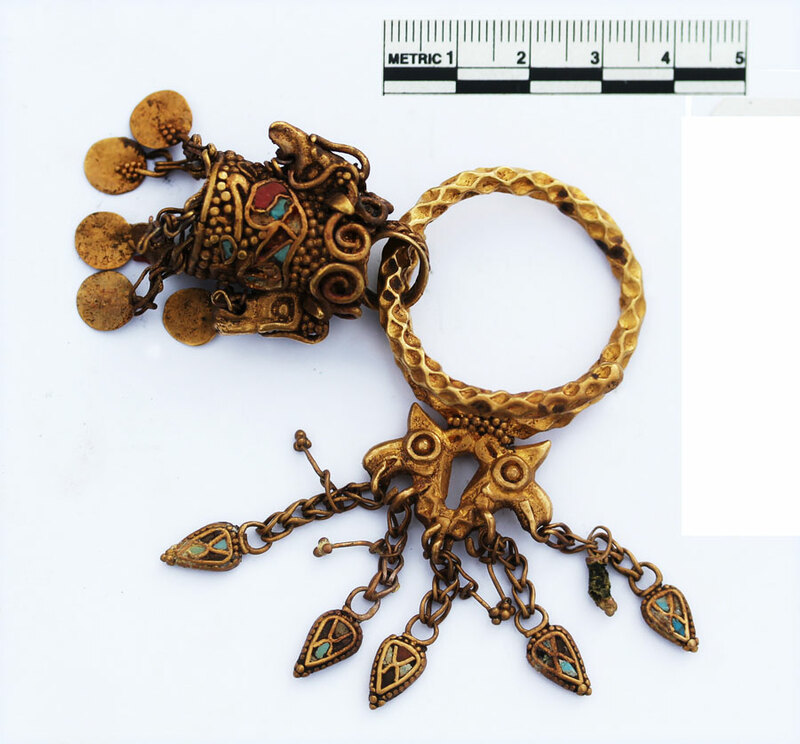 The material associated with the burial seemed to belong to a woman as it contained what is regarded as representing typically female artefacts and jewellery. A small wicker chest that is thought to be a vanity case was found near the skull. It was filled to the brim with items including a cast silver container with a lid, a gold pectoral, a wooden box, cages, glass, silver and earthenware bathroom flasks, leather pouches, and horse teeth that contained red pigments. Nearby lay a large silver mirror with gilded stylized animals on the handle and embossed decoration on the back with the image of an eagle in the centre, surrounded by a procession of six winged bulls. The garments were decorated with several plaques, depicting flowers, rosettes and a panther leaping on a saiga’s (antelope) back. There were also 395 pressed pieces of gold leaf sewn onto the breeches, shirt and scarf. A fringed shawl was held together with a golden chain and the sleeves of the shirt were embellished with multicoloured beads, forming a complex geometric pattern. Two cast gold earrings decorated in places with cloisonné enamel were found in the area of the temporal bones. The archaeologists also uncovered equipment used in the art of tattooing, including two stone mixing palettes and iron, gold covered needles, as well as bone spoons used to blend paints and pens decorated with animals. More than one thousand artefacts were recovered from the tomb and they constitute an invaluable research resource that will add to the growing corpus of data that is shedding light on the history of the Eurasian continent. 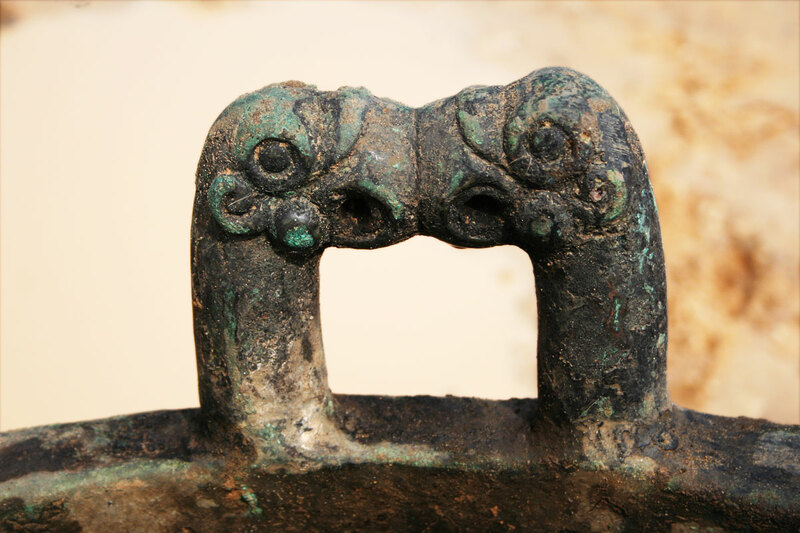 This excavation represents a major breakthrough in the study of the mysterious Sarmatian culture of the Early Iron Age.